The options of where to stay in France during your vacation can seem endless, but at the same time hard to find. Since this summer I have been making my own reservations for next summer’s holiday, I have learned a lot and I wanted to share. Below you will find options for luxurious stays (chateaus – oh my goodness yes), as well as reasonably priced accommodations with a touch of luxury. My preferred accommodation when I travel is usually a full home or apartment as I enjoy having my own kitchen, living space, etc. But sometimes having the amenities of a hotel is a the best decision especially after arriving in Paris with a touch (okay, for us west-coasters and Aussies, a lot) of jet lag. 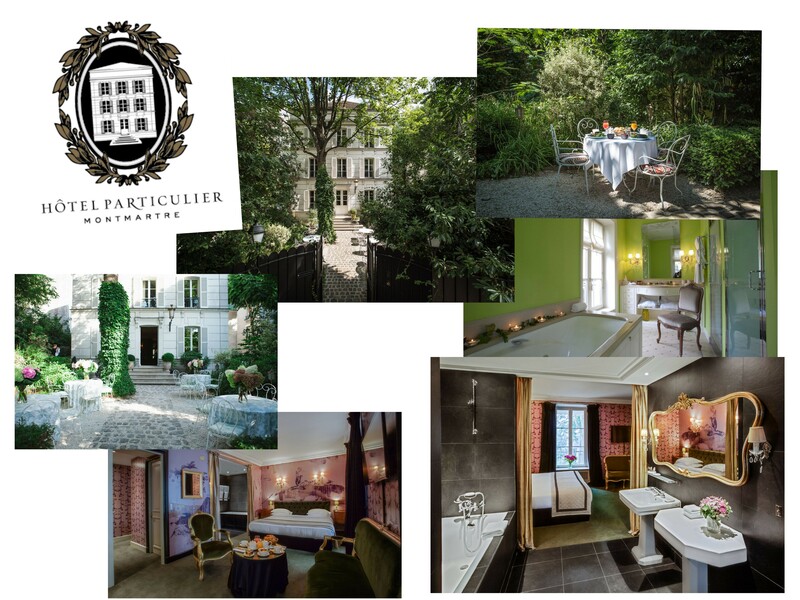 What I have done is perused boutique hotels in Paris that I think you will enjoy: a few are luxury stays and a few are budget-friendly all the while being located in ideal arrondissements. But there is more to France than Paris. 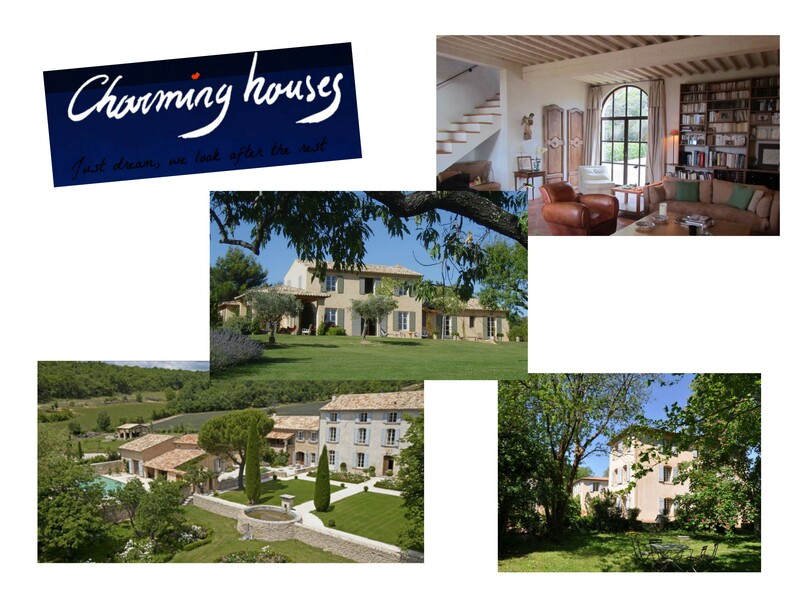 As I will be spending most of my time in the countryside next summer, I have found luxurious options for vacation rentals as well as bed and breakfasts, known as chambres d’hôtes in France. As always, checking with Airbnb and Vrbo (links at the end of the post) are wonderful options to save money. My experience has been quite positive with both; however, while some rentals are available to be reserved a year in advance as I did, some are not as they are family homes and to know their schedule so far in advance is difficult. As an upcoming guest on The Simple Sophisticate podcast shared with me, Airbnb is ideal for reserving when last minute plans are made, and I think she has a point. So if your plans are well in advance, peruse the options below, and if you have a last minute opportunity to getaway, while you will want to check all of the destinations listed here as discounted rates often are made available to fill the rooms, don’t forget Airbnb. Most importantly, enjoy dreaming about your next visit to France which is part of the fun, non? Be sure to check the cancellation policy before making your reservation, and for rentals expect to pay a partial payment up front and the remainder a few weeks in advance. Hotels will often just require a credit card number to hold the room without a deposit. And now to planning your dream vacation. Bon voyage! Perhaps you follow one of my favorite Paris-based blogs, Hip Paris, and if you do, you know you can trust their taste and passion for living well in the City of Light. 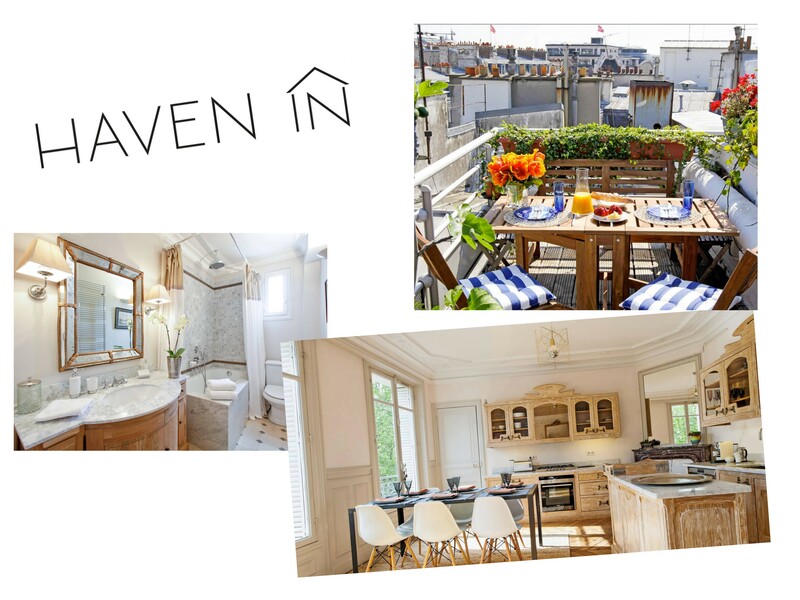 Haven In (formerly known as Haven in Paris) offers luxury vacation rentals in both Paris and Provence, as well as Umbria and London. During my last visit to Paris, I had the opportunity to tour more than three of their rentals and share first-hand glimpses into the careful attention they take to ensure you are welcomed and have a wonderful stay. Hands down, true luxury will be enjoyed if you book with Haven In. 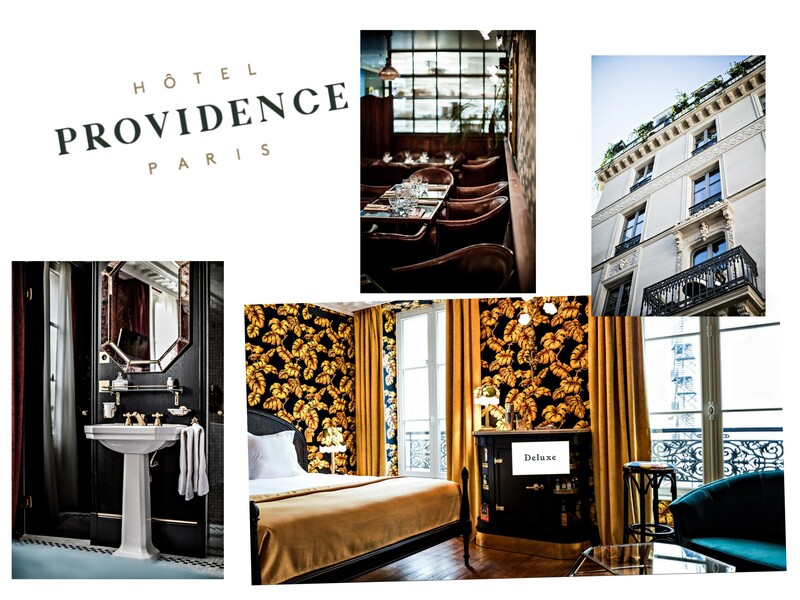 Luxury and beautiful views of the City of Light will be yours, as well as the classic French windows. Primarily all of the rentals are located in Paris, but Provence, Bali, London and a few are located in Italy as well. 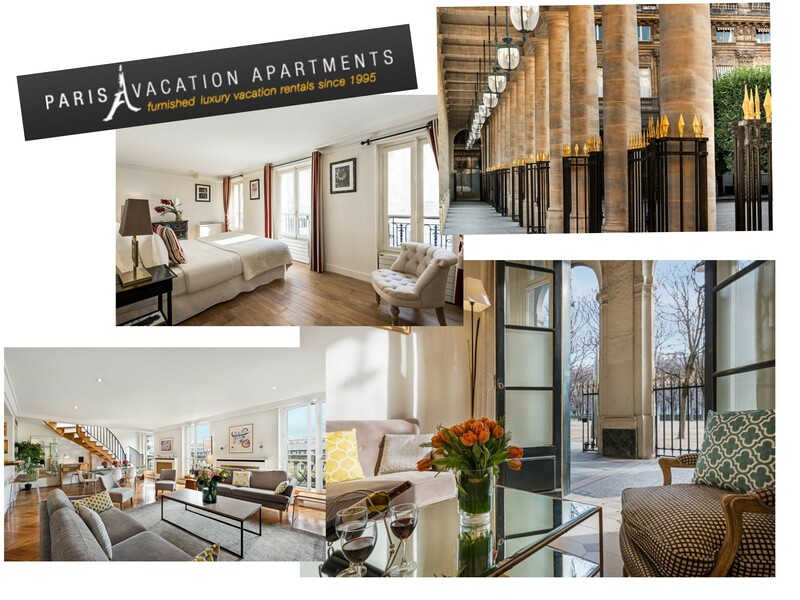 If you, like myself, are smitten with the Le Palais-Royal in the 1st arrondissement where Colette used to call home, then you will want to check out Paris Vacation Apartments as they have more than a few duplexes and triplexes directly situated in this must-visit location. Open your windows to the public gardens and be sure to visit one of my favorite consignment shops while you are there. While Paris is where most of their rentals are located, there are a few in Bordeaux as well. Located near . . . you guessed it Montmartre, this five suite Parisian home was recently renovated by manager Oscar Comtet and opened to the public in 2016. With a restaurant, bar and gorgeous outdoor dining opportunities, escape to a bucolic setting while in the city of Paris. Suites begin in the mid $300/night. 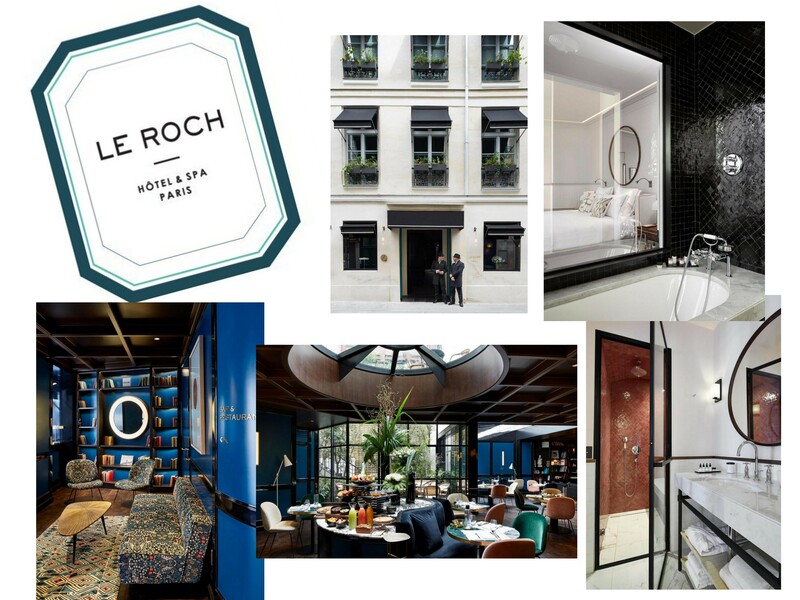 Ranking in the top 10 list compiled by The Telegraph this past May of best boutique hotels (see the entire list here), the prices are very reasonable (approx. $180/night). Built in 1854, the neighborhood is on the right bank in the 10th arrondissement in the Haut-Marais district and near the Saint Martin Canal. If you are looking for luxury near the heart of Paris, the Opera and the Louvre just outside, step into this posh accommodation. Making Conde Naste’s 2017 “Hot List”, Parisian interior designer Sarah Lavoine is behind the chic, yet casual aesthetic. With rainfall showers in even the coziest of rooms, prices begin just under $400. An affordable place of luxury. A frequent choice of fashion editors during fashion week due to its proximity to the Palais-Royal, it is also nearby the Louvre and Palais Garnier. With rooms beginning just under $200, the woman behind the hotel Sylvie de Lattre began with Hôtel Verneuil and then Hôtel Recamier and now Thérèse. Self-described as discreet luxury, located in the 9th arrondissement, for your money (a classic room is fewer than $150), you are going to have a wonderful accommodation. A clean, simple, country aesthetic, owned and created by Nadine Flammarion, whose name may look familiar (she is a member of the family behind the French publishing house Groupe Flammarion). 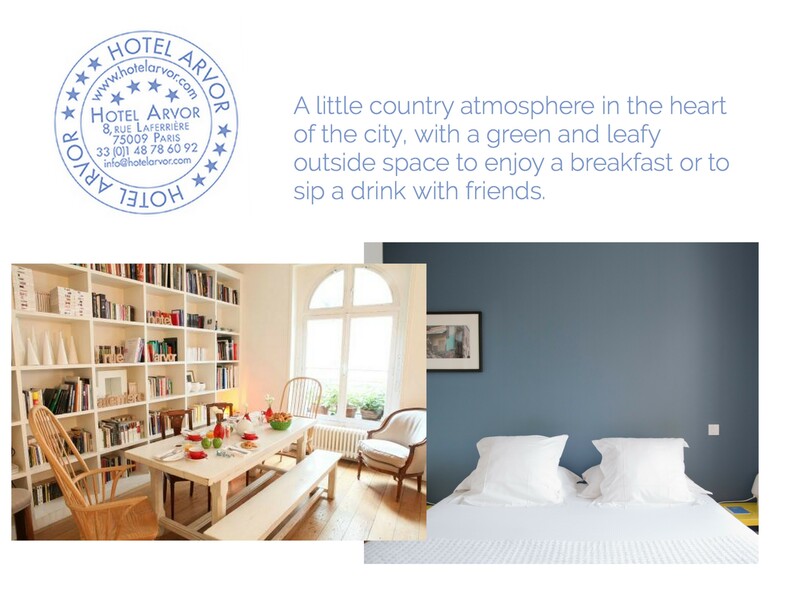 With complimentary afternoon tea each day, a chocolate on your pillow each night, and a library to enjoy breakfast as well as relax in after excursions, the Hôtel Arvor Saint Georges would be an ideal home base. If you’ve ever wanted to live in a French castle, this is the website to begin your search for a Chateau Bed & Breakfast, or as the French call them chambres d’hôtes. With hundreds of castles in all different regions of France, peruse the selection and let the day dreaming begin. Many of the chateaus also offer a gourmet dinner as well as the prerequisite breakfast. Have fun exploring! 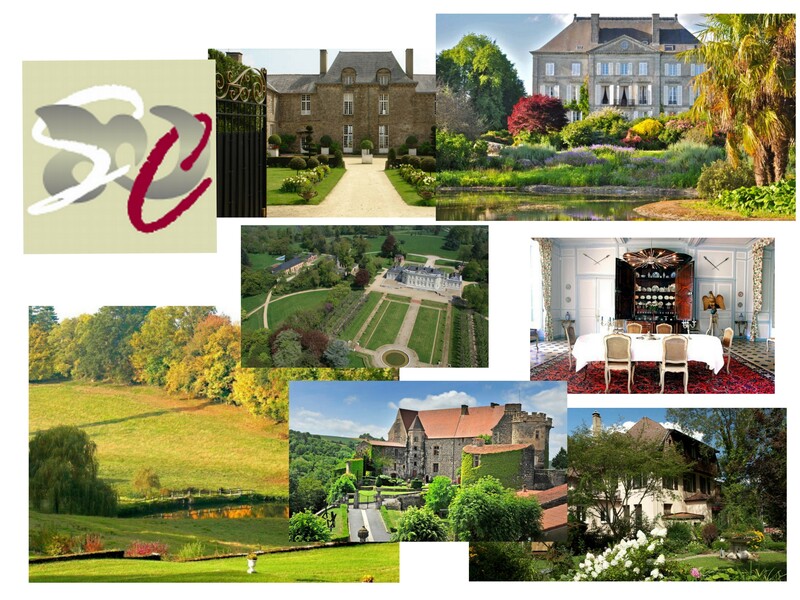 Note: If you are looking for a tailored excursion including accommodations in the countryside of France involving the history and the many chateaus, reach out to Countess Connections who I have had the lovely opportunity to communicate with as I made my reservations at her and her husband’s family chateau for part of my trip next summer. She is your guide for a luxurious vacation. 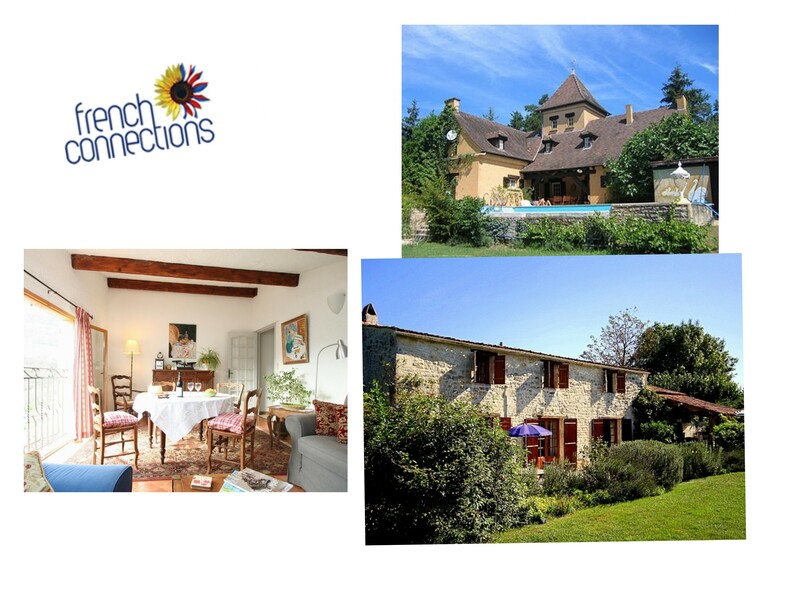 If you are looking for Bed & Breakfasts, chateau or in a nice estate, as well as keeping your options for a lovely hotel in the countryside, check out Stopover Connections. Many of the chateaus are also found on the above Bienvenue Chateau site as well. With a wide variety of vacation rentals set throughout the French countryside as well as in Paris, similar to Airbnb, you will find a range or price points. 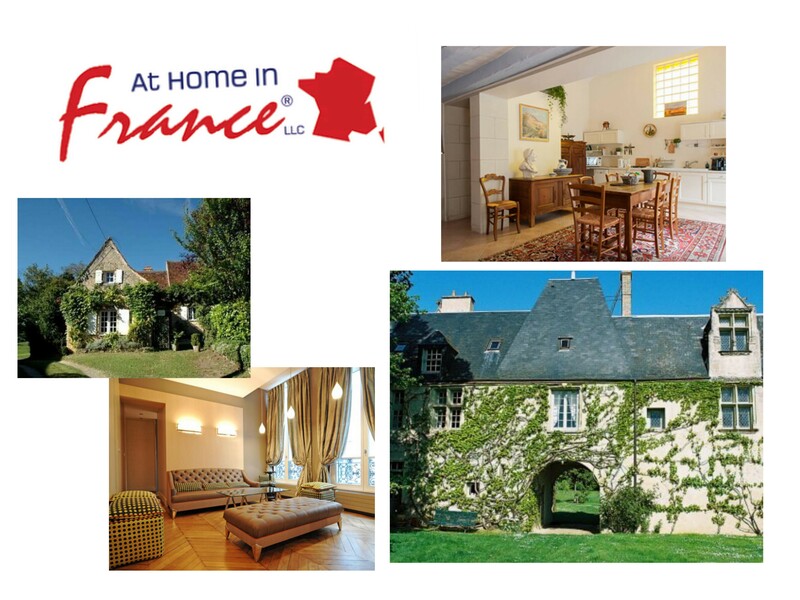 Find a vacation rental in a variety of regions throughout the French countryside. 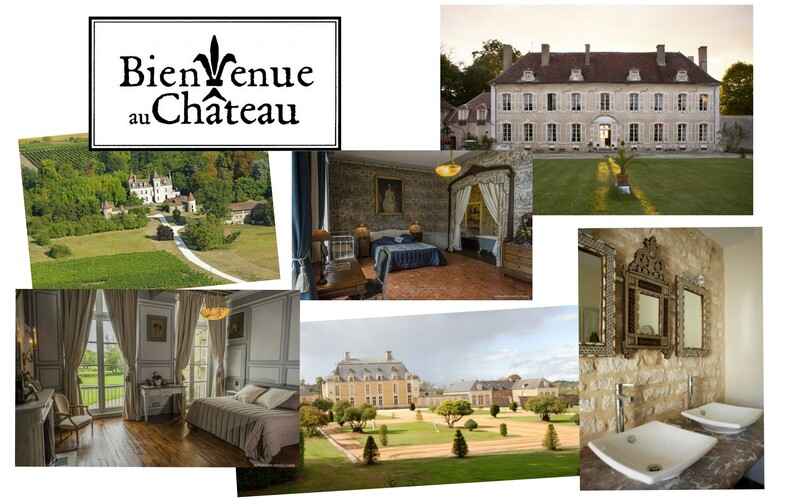 This website is based in the UK, and includes chateaus as well as homes. 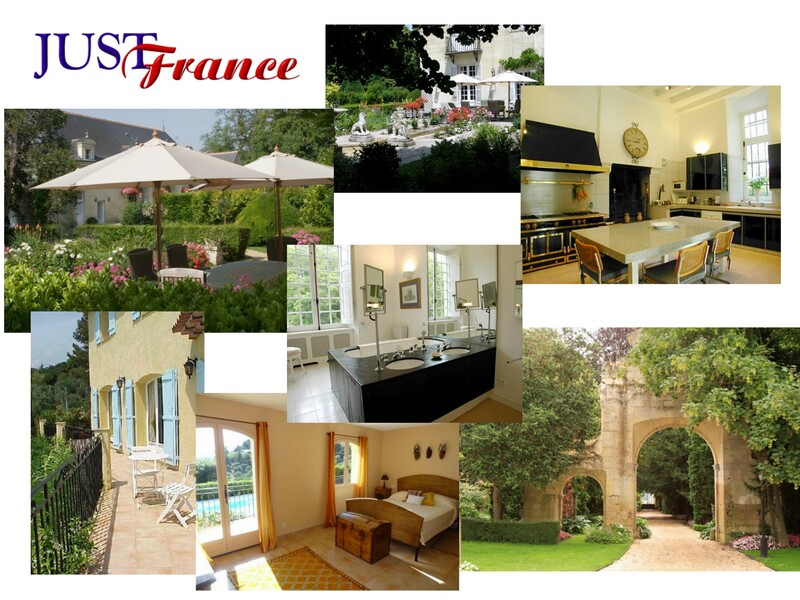 With rentals available all over France, be sure to check out Just France which also includes rentals in Paris. More luxury accommodations are included, as well as hotels in the countryside, but there are a variety of price points. 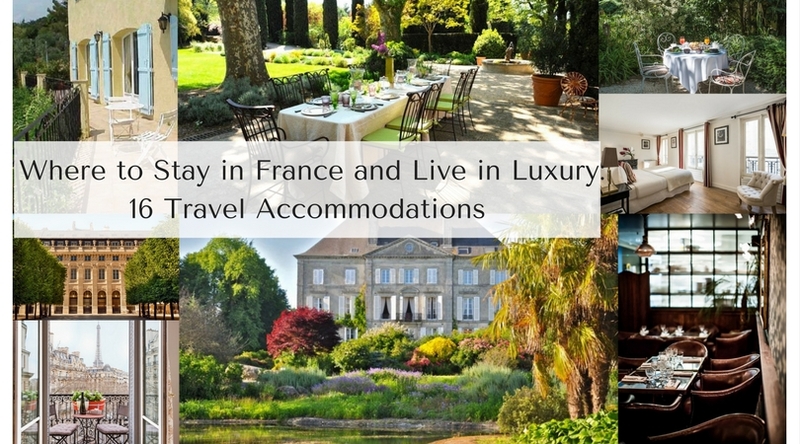 For charming and luxurious holiday rentals in the south of France as well as the Alps and Corsica, check out this site (the San Francisco Bay Area also is included as well). Do you remember where Peter Mayle’s massively successful first memoir was set in Provence? You guessed it – Luberon! 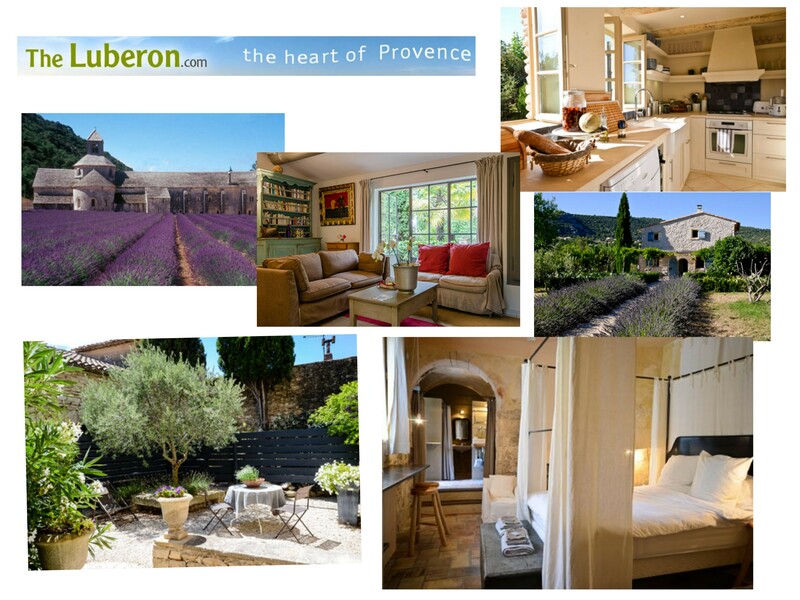 And now you can find a lovely cottage rental in that same town with The Luberon.com with more than 150 to choose from. Just as the company’s name suggests, all of their vacation rentals can be found in the south French region of Provence, and there are oodles of luxurious, home-away-from-home options to choose from. 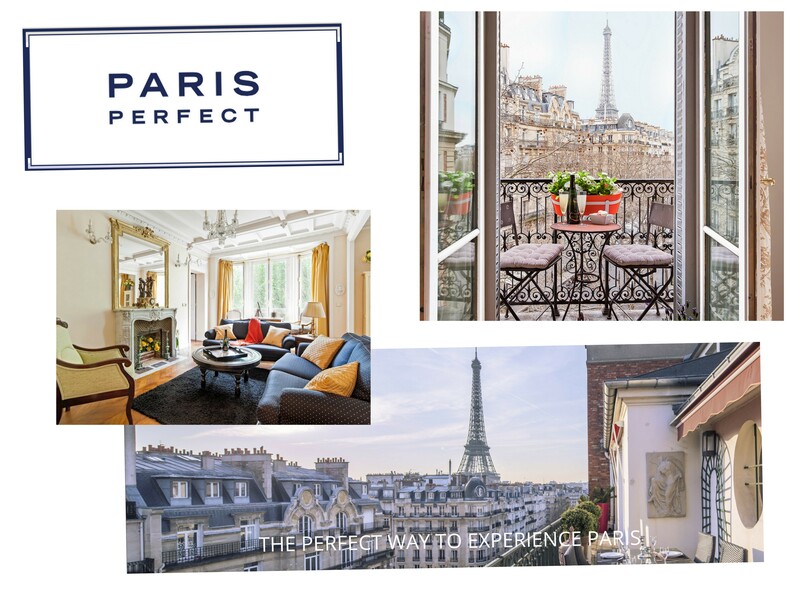 ~If you have had a positive experience with another vacation rental site or would recommend a hotel in Paris, please do share in the comments. As someone with vacation rentals in France, may I say that AirBnB is far superior to VRBO/Homeaway/Abritel. AirBnB charges far less–3.6% vs. 9% fpr VRBO/Homeaway/Abritel (which are all the same company)–and is much easier to deal with. Châteaux and estates are lovely and offer beautiful grounds, but they usually require a car because they tend to be fairly remote. That’s great if you want to just stay on site, but if your intention is to see a lot of sights, you might want to go for something in town. In Paris, I have been pleased on more than one occasion with l’Hotel des Grandes Ecoles. It’s in the fifth arrondissement, near the Arènes de Lutece, not far from the Pantheon and Sorbonne. It’s very quiet (you wake up to birds singing), the charming Rue Mouffetard of the Amélie movie isn’t far, the decoration is a little antique/brocante/grandma–not the sterile modern stuff–with a beautiful interior courtyard where you can have breakfast in good weather, plus there’s a parking garage. 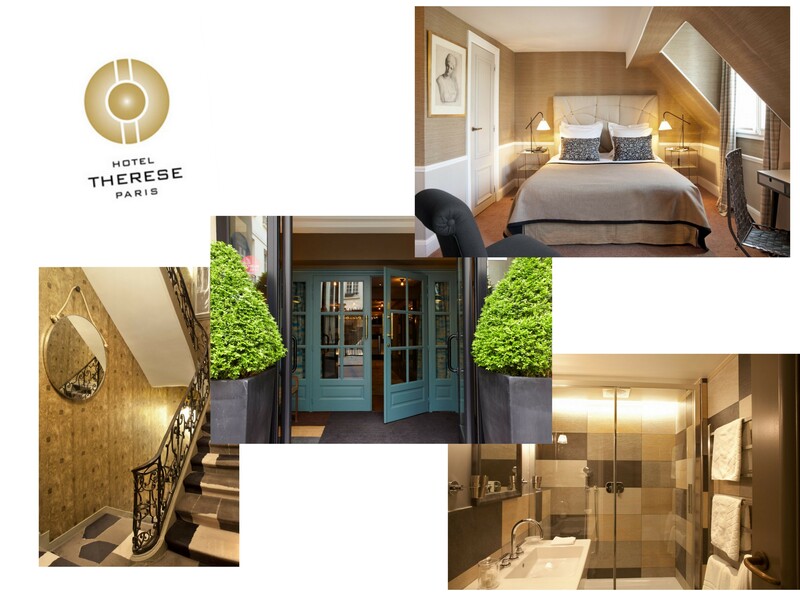 I was pleased to see that Inès de la Fressange included it in her hotel recommendations in her book. Not expensive for Paris–€135-€165 for a double. Amazing places! I’m really lucky to live in Provence just next to a few beautiful chateaux like this here ;).